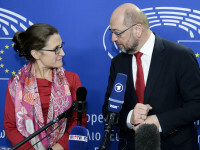 The seeming collapse of the trade agreement between Canada and the European Union (CETA) has created obvious disappointment for International Trade Minister Chrystia Freeland and the entire Canadian government, which made the deal as its top trade issue. Efforts to salvage CETA will undoubtedly continue, but my Globe and Mail column points out that the underlying problem with the agreement is not the complicated European political system that requires support from all member states. 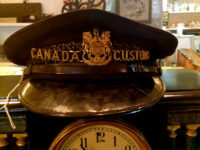 Rather, it is the expansion of trade negotiations from agreements that once focused primarily on tariff reductions to far broader regulatory documents that now mandate domestic legal reforms and establish dispute resolution systems that can be result in huge liability for national governments. 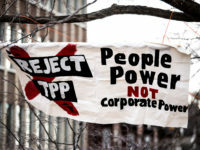 This enlarged approach to trade deals, which can also be found in the controversial Trans Pacific Partnership (TPP), run the risk of surrendering domestic policy choices to other countries or dispute tribunals. 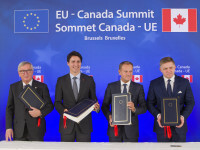 If CETA were limited to tariff reductions, it would be relatively uncontroversial. 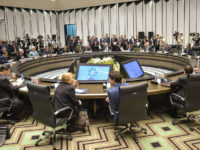 The discomfort with the agreement lies instead in the mandated changes to domestic regulations and the creation of investor – state dispute settlement mechanisms that may prioritize corporate concerns over local rules.